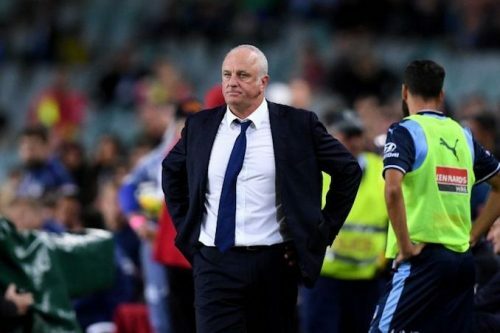 MINUTES after the full-time whistle was blown and still processing his side’s devastating sudden-death loss in the A-League play-offs against traditional rival Melbourne Victory, Sydney FC coach Graham Arnold reaffirmed his side remains the best in the competition’s history. Arnold had approached Saturday night’s encounter at Allianz Stadium expecting a win, leaving him unprepared to front media when he found himself on the wrong end of a 3-2 scoreline after a heart-stopping, dramatic contest which spilled into extra time, to be decided in the final minute. 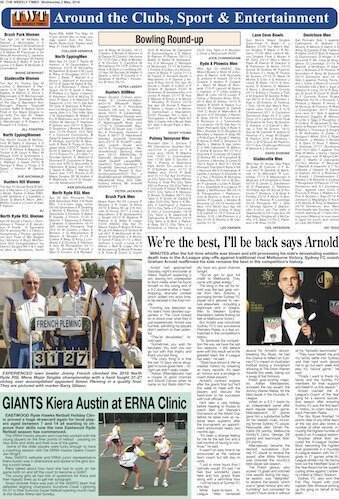 Fronting live television as his side’s most devoted supporters in The Cove looked on in shock over what they’d just experienced, Arnold was humble, admitting his players didn’t perform to their potential. “Sometimes you wish for fairytales. You wish you can go out with that trophy and that’s your last thing. “The crazy thing is is that the last 10 days we’ve struggled to score goals here … tonight we didn’t really create. “Adrian (Mierzejewski) had a couple of good chances and (David) Carney when he came on but Bobo didn’t really have any good chances tonight. 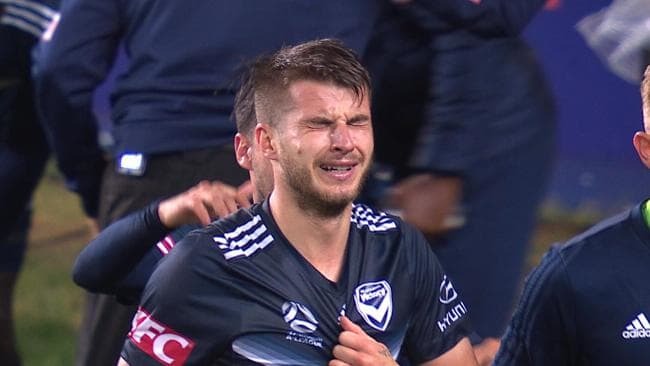 The sting in the tail for Arnold was the last gasp winner from Terry Antonis, a promising former Sydney FC player heÕd allowed to venture elsewhere – including a nightmare stint in Greece, then to Western Sydney Wanderers, before finding his feet at Melbourne Victory. But Arnold was convinced Sydney FC’s two successive Premiers Plates, is a feat unmatched in the competition’s history. “To dominate the competition the way we have the last two seasons, I still believe even with this result we’re the greatest team the A-League has seen,” he said. Arnold’s contract expires after the grand final but he’ll this week to meet with the players and discuss the hand-over to his successor with club officials. He’ll take a rare holiday before heading to Russia to watch Bert van Marwijk’s Socceroos at the World Cup before he takes over as national team supremo after the tournament, an appointment announced nearly two months ago. “It’s been a strange feeling for me for the last two and a half months of having to continue,” he said. “It wasn’t an easy time to be announced as the national team coach but still stay to work. While back-to-back A-League titles remained elusive for Arnold’s record-breaking Sky Blues, he had the chance to reflect on Sydney FC’s impact on Australian football during a triumphant showing at The Dolan Warren Awards this week, taking out a swag of top honours. Polish goal-scoring maestro, Adrian Mierzejewski, scooped the top award, the Johnny Warren Medal, for the best player in the Hyundai A-League. Voted on a 3-2-1 basis by an independent panel after each regular season game, Mierzejewski’s 37 points gave him a substantial buffer on his nearest rivals, including former Sydney FC player, Newcastle Jets’ Dimitri Petratos (26 points), Melbourne Victory’s Leroy George (26 points) and teammate, Bobô (24 points). Mierzejewski became the second successive Sydney FC player to receive the award, after Milos Ninkovic was crowned the country’s best player last season. The Polish genius, who scored 13 goals and notched nine assists during the regular season, was “delighted” to receive the award, which was “a great honour and very humbling” but conceded he couldn’t have done it without all his “fantastic teammates”. “They have helped me and my family settle into Sydney and their hard work allows me to go out each week and play my natural game,” he said. Arnold claimed the A-League’s Coach of the Year gong for a second successive season after ensuring Sydney FC was the first team in history to claim back-to-back Premiers Plates. The Sky Blues finished 14 points clear of any other team at the top and also broke a number of other records, including the highest number of goals in an A-League season. Brazilian striker Bobô secured the A-League Golden Boot, becoming the highest ever goalscorer in a Hyundai A-League season with his 27 goals in 27 games while W-League striker Lisa De Vanna took out the Westfield Goal of the Year Award for her superb curling strike against Canberra United at Allianz Stadium. Sydney FC also won the Fair Play Award with club captain Alex Brosque picking up the gong on behalf of his team.